Memory Playback, the latest feature added to to the Lightning streaming technology, allows ALTAIR to fetch and cache the entire track in its memory or system storage in advance to improve the sound quality, and also play locally without the need of network data transfer. 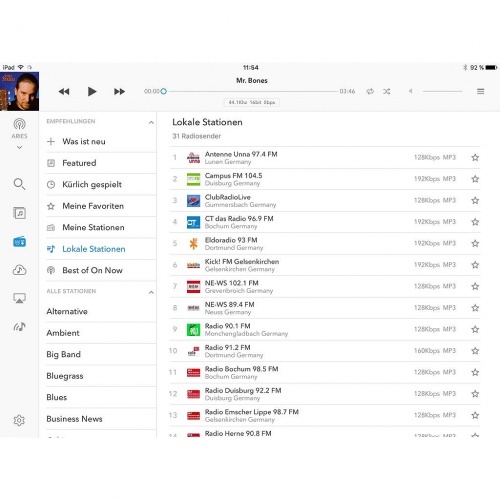 Using Lightning DS, you can also stream TIDAL, Qobuz and listen to Internet Radio at any time. 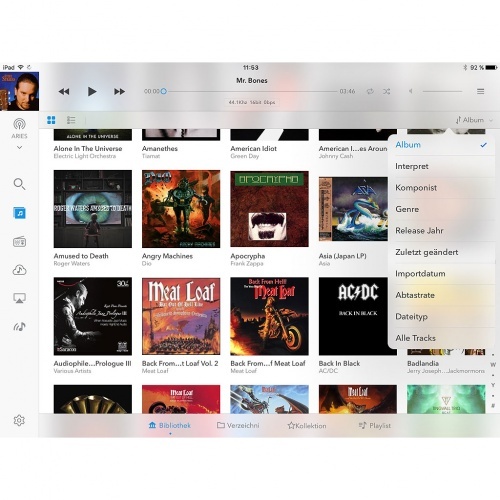 ALTAIR’s AirPlay, Songcast and Bluetooth functions provide alternative ways to stream your favorite music from Apple Music, Spotify and other service providers through your smartphone or computer. 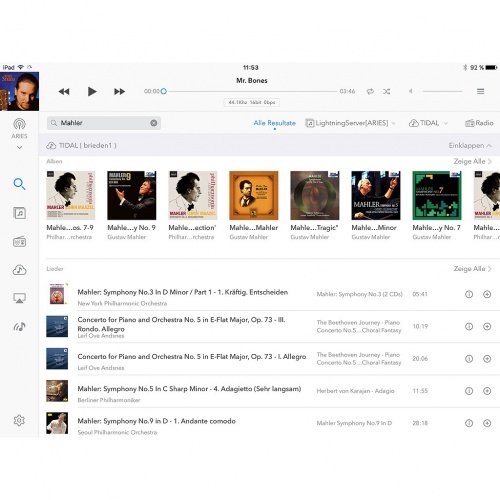 ALTAIR’s streaming function, operated by AURALiC Lightning DS control App, is available on iOS platforms right, now with Mac and Windows version in development. 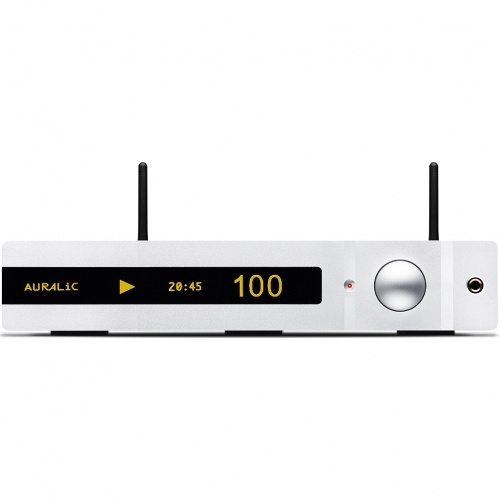 It is also compatible with other 3rd party OpenHome or UPnP control software for playback. ALTAIR also works as a RoonReady endpoint to use with Roon software, bringing you a new way to discover and listen to music. 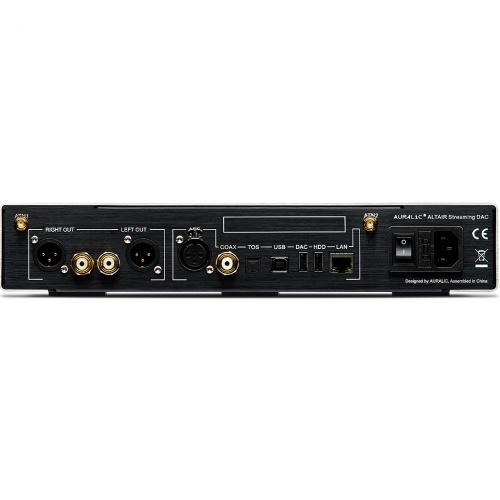 The unit’s other inputs include AES/EBU, Coaxial and Toslink, and a USB connection to computer working as standalone USB DAC. When purchasing an ALTAIR from a dealer, you can add an optional 2.5-inch HDD or SSD for internal music storage, turning the ALTAIR into a full function Music Server. Or, you can always buy an ALTAIR and install the storage yourself. ALTAIR is powered by AURALiC's proprietary Tesla hardware platform that includes a Quad-Core Coretex-A9 processor running at 1GHz, 1GB DDR3 onboard memory and 4GB system storage. The Tesla platform has a calculation ability of 25,000 MIPS, more than enough to decode a vast spectrum of audio formats, including AAC, AIFF, ALAC, APE, DIFF, DSF, FLAC, MP3, OGG, WAV, WV and WMA. AURALiC has chosen this platform for its flexibility and long term support consideration. Future features planned include DSD Upsampling, Room Acoustic Treatment and MQA support. All these features can be delivered through automatic online updates without user’s attention. The dual-frequency Femto Master Clock inside the ALTAIR is specially designed and optimized for its ESS Sabre DAC chip: with one frequency for playing music with a sampling rate which is the multiple of 44.1K, and a second for 48K, making it possible for ALTAIR to be able to lock on with highest clock precision (equal to VEGA’s ‘EXACT’ mode) at all time without dropouts. The Femto Master Clock, which is powered by a 9uV extremely low noise dedicated power supply, has a very low phase noise performance. It not only has a dramatically low phase noise, which is only at -151dBc/Hz level, but also an excellent 100Hz offset noise level which is only -115dBc/Hz. Driven by such a high performance clock, ALTAIR can bring you vivid music with natural detail and solid sound image. 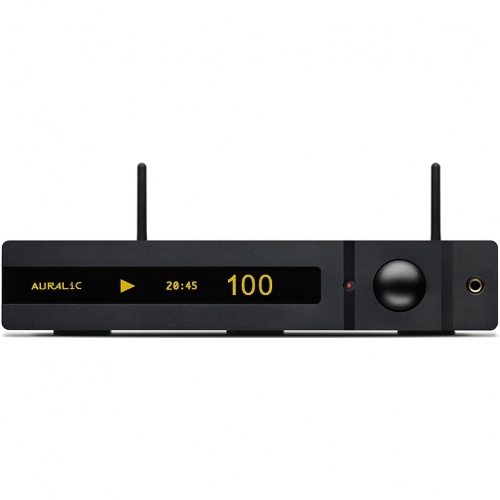 With more and more DACs at this price range starting to use switching power supplies, AURALiC insists on using high performance but costly Purer-Power™ linear power supply technology on ALTAIR. With this technology, the dirty AC power firstly goes into a power purification module, and the DC current and noise from both within and outside audio frequencies can be reduced by as much as 90dB. The purified AC power is then feed to a high quality transformer, with a specialty iron core made to AURALiC’s specifications, and unique wiring to ensure zero vibration and very low noise to avoid impacting the sensitive audio electrical circuit. Comparing to the conventional switching power supply which generates wide-band noise that is hard to eliminate, AURALiC’s discrete component- based power supply feeds the DAC chip’s analog circuit with an astonishing low noise that is below 1uV (1uV = 0.000001V) within the entire audio band, making ALTAIR a perfect tool to re-discover your music with more details in the ‘last bit’ that you may never noticed before. ALTAIR has four built-in filter modes which allows its user to customize sound best befitting their personal preference. Those filter modes were developed from AURALiC’s well known Flexible Filter Mode in the VEGA Digital Audio Processor, with each containing several digital filters optimized for a corresponding sampling rate. Flexible Filter Mode was developed under AURALiC's subjective auditory sense and objective testing data relationship models, to optimize the listening experience for different music and format. The “Precise” mode exhibits perfect in-band ripple and out-band attenuation performance, while the “Smooth” mode is better for overall enjoyment as it has no 'pre-ringing' effect. The other two modes, named “Dynamic” and “Balance” are optimized for different music formats as well. Power Consumption: Sleep: <10W, Playback: 35W at max. Good friendly service, honest advice and kept me up to date, slightly let down by there supplier and delivery times.